The Canadian Forces Snowbirds fly in Concorde formation over Launch Complex 39B and the Space Coast shoreline at NASA’s Kennedy Space Center in Florida. 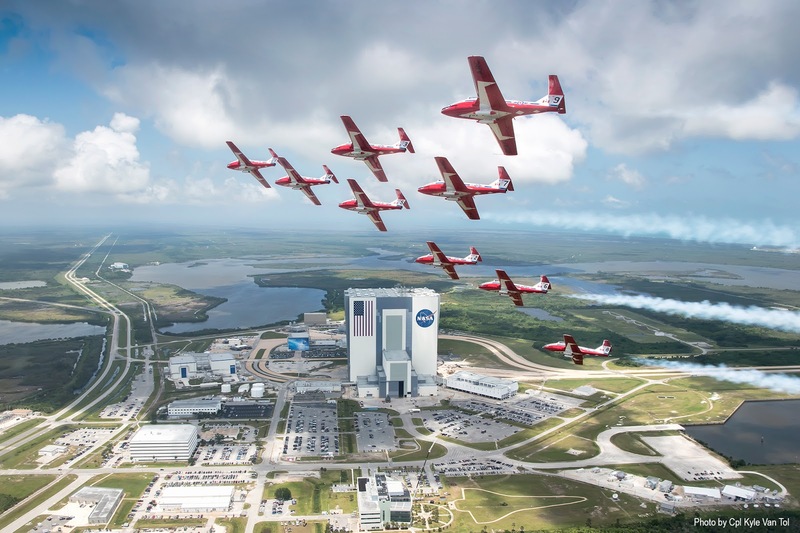 The Snowbirds, Canada’s air demonstration team, carried out a practice flight over Kennedy and nearby Cape Canaveral Air Force Station in Florida on Wednesday, May 9, 2018, between their scheduled U.S. air shows. The Snowbirds of the Royal Canadian Air Force (RCAF) fly CT-114 Tutors.